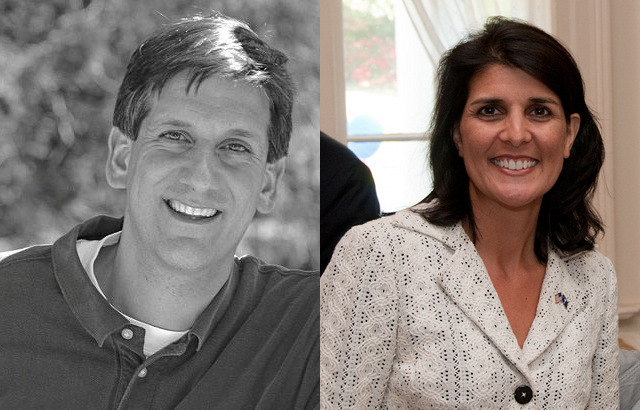 The poll shows Haley with an overwhelming lead at 43 to Gresham Barrett’s 23, Henry McMaster’s 16, and Andre Bauer’s 12 (MoE 3.1). Bauer’s 12 happens to correspond well with the 13% who believe the personal accusations made against Nikki Haley in this race. At 43 with an MoE of 3.1, Haley would seem to have a small (about 1% per my model) chance of avoiding a runoff. So it’s important to note that Haley also crosses 50% in each runoff possibility. Update: I’m being told the runoff cutoff is 40%. By my rough mental estimate, that gives her around a 95% of avoiding a runoff per this poll. Update x 2: I’m now definitively told it’s a majority to avoid a runoff. So it’s time to start seeing some Haley/Sheheen polling, eh? The good news is that, according to the PPP poll, Haley leads all prospective runoff challengers.